So, what’s happening with my Internet radio show decoded_ on Pulseradio? Word has got around that the Pulseradio station manager quit. No one has been uploading new shows to the streaming audio servers (or responding to e-mails) since November last year. Which means, the same week’s worth of shows have been on repeat for almost 3 months now, no doubt resulting in regular listeners switching off, and causing frustration and confusion for all the DJs/shows. There’s been no communication from the new owners of Pulseradio about all this. My passion and interest in Pulseradio is on the slide. decoded_ will still continue. I still enjoy buying/collecting new music and making mixes to listen to. 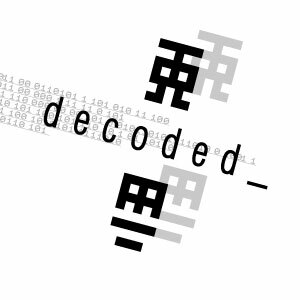 So stay tuned for a new decoded_ show/mix podcast coming very soon, you’ll only be able to hear (download) it here. I’ve got heaps of awesome new music to feature!